The Akagera National Park in the east of Rwanda is one of the prime destinations that are always encountered on Rwanda safaris and tours. The only savannah park in the country is habitat to a range of savannah dwelling species including flora and fauna. However, Rwanda being one of the most populated countries in Africa with great population density in the Sub Saharan region definitely put the wild animals at stake thus contributing to their extinction. The human wildlife conflict became serious as there was competition for space. In Akagera, the cattle keepers wanted grazing land in the area while the lions were being pressed hard in their habits reacting by killing the cows prompting their poisoning by the cattle owners. This caused lions to disappear in Akagera something that affected the wildlife safaris to Rwanda. 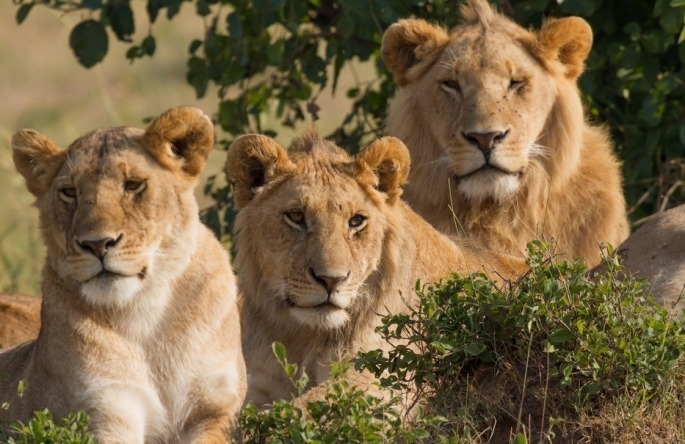 The plans to reintroduce the lions and restore the park’s vibrancy have been on going and gained more momentum when the Rwanda Development teamed with Africa Parks to manage Akagera National Park under a public – private partnership arrangement. It was last week when the seven lions touched the ground at Rwanda’s Kigali International Airport marking their first day of re-introduction in Rwanda. After their arrival, they had to be transferred to Rwanda safari destination of Akagera National Park in the east of the country where they initially existed. However, it was a moment of wonder as the drive to Akagera lasted to about six (6) hours. The lions were donated by Tembe Reserve Park and the And Beyond Phida Private Game Reserve all in South Africa. Their reintroduction in Rwanda is seen as a great step towards conservation and diverse wildlife encountered by travelers on safaris in Rwanda.